Dalwood Great War Memorial presents for each man their factual military history - where they enlisted and served and what happened to them; where they died and where they are remembered in the Commonwealth War Graves Commission records - whether this be an individual headstone on the Western Front or immortalised on one of the great monuments to those with no known grave. This is combined with details from research in the local parish records of their lives and their families in this parish community in the years leading up to the outbreak of the War in 1914. 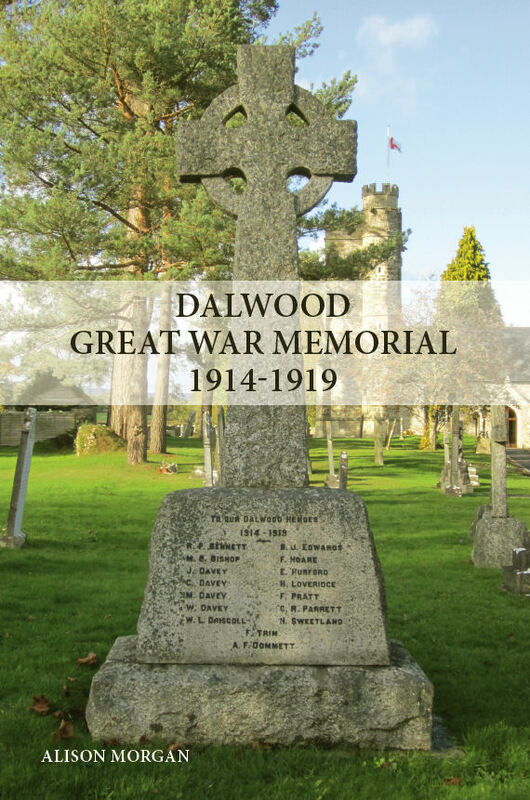 The book also contains an account of the early lives and experiences in the War of some other Dalwood men whose military recordshave survived.